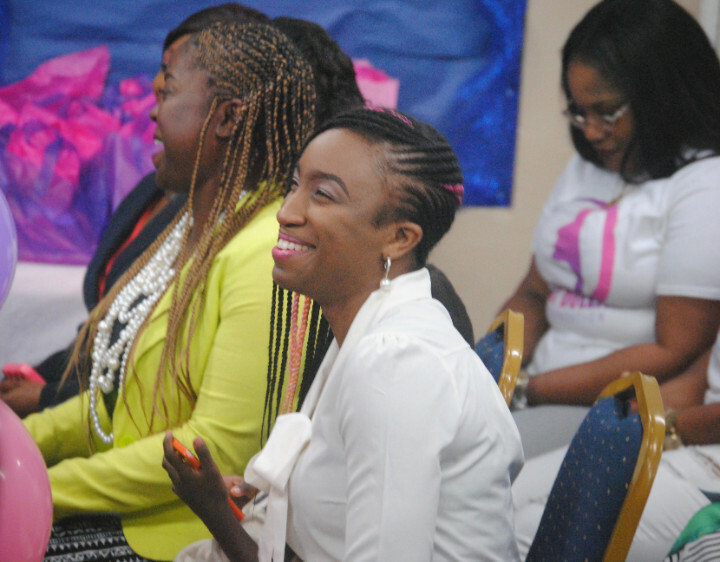 The Kelly Bullard Foundation was recently launched just for women throughout The Bahamas to have a source of hope and inspiration through trying times. The foundation is designed to provide support to women of all ages who are going through trials in life and may need encouragement, support or guidance to help them to get through their difficulties. The foundation is not only a support group, but also plans to provide tangible items to assist the women, such as clothing, shoes and books to help make a difference in their lives. 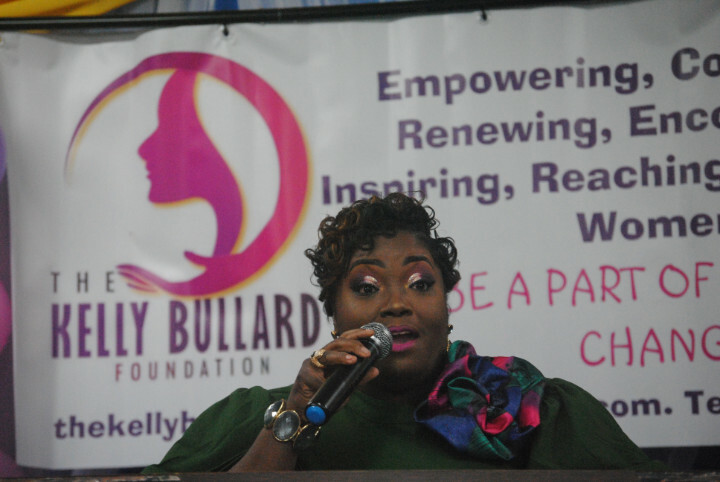 Kelly Bullard, a minister at Emmanuel Tabernacle Baptist Church and owner of the Glory House nail spa, says she is giving life to her purpose through the birthing of this foundation. As a nail technician, Mrs. Bullard found herself giving a listening ear to the women who would come to her to have their nails done. Women from all walks of life would enter her doors. Their struggles may have all been different, but in some ways they were also the same. She found the common threads and began to help them find solutions to their every day problems. She has such a knack for this that sitting down for a nail appointment was like coming to a counselling or motivational session. Patrons also began to share and support one another, turning Glory House into a place of solace. Eventually, Mrs. Bullard’s counselling extended after hours, as patrons would even call her through the night when in what they considered to be an emergency situation. To this end, Mrs. Bullard decided to contact her friends, family members and mentors to join her in establishing a foundation to make even more meaningful contributions into the lives of the women who need it. The launch, held at Emmanuel Tabernacle on Jean Street, encouraged attendees to “be a part of the global change”. The Kelly Bullard Foundation is designed for: “Empowering, Counselling, Renewing, Encouraging, Inspiring, Reaching and Helping Women”. It was a leap of faith for Mrs. Bullard, who admits that she still has her own “personal struggles”, but decided to follow her passion without reservation. “This was birthed out of pain and compassion; I found myself ministering to people even when I felt I couldn’t because I was going through my own situations,” she said. Special invited guests included Pastor Don & Lady Janiece Clarke of Emmanuel Tabernacle; Minister Deidre Clarke; Minister Shawnell Anderson; Apostle Janet Archer from Feeding the Whole Man Ministries; Evangelist Monica Stuart from the Lord’s Temple of Praise; Sister Theus Lightbourne; Prophetess Caress Williams; Author Latrell King; Miss Nicole Collins; the NVI Praise Team and the guest speaker, Pastor Samantha Maxwell. Pastor Maxwell spoke on “finding your purpose” and delivered a riveting sermon, encouraging all in attendance to make a commitment to discovering their purpose now, for without it, life is unfulfilled. She stated that a talent shines, but a true life purpose may be tougher to identify. First, she advised, find out what it is that you love to do, and then find those who could be helped by what you love to do. She congratulated her childhood friend Mrs. Bullard for doing this. Glory House nail spa on Balfour Avenue near the Marathon Mall will have inspirational books, gifts and memorabilia on sale to raise funds for the foundation. Not only will the foundation have a support group, but will offer tangible goods to assist women. Contact kellybullardfoundation@gmail.com or call 448-1842.